This time last year, we reported that factory prices for heifers had strengthened to €4.15/kg with the tops of the bullocks making €4.10/kg. Yes, indeed we didn't know how well off we were this time last year. 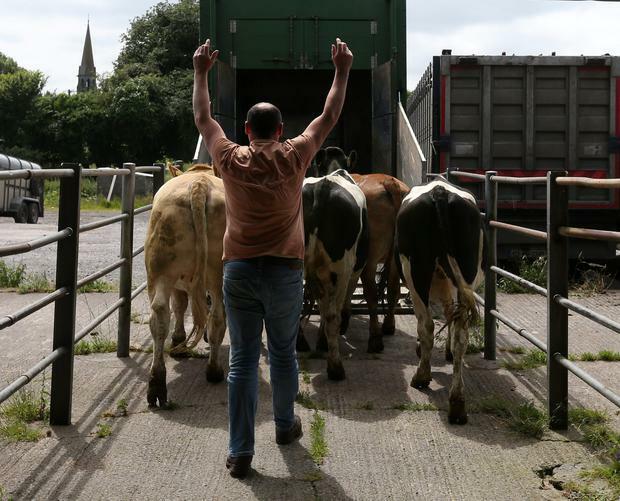 And just to compound your misery this morning, factory prices this week two years ago saw bullocks trading off a €4.00/kg base, with heifers on €4.10/kg. Of all the figures I quote above, probably the most telling is the exchange, as the higher sterling goes in relation to the euro, the more difficult it is to sell into the UK. Yesterday sterling was trading at 86p to the euro. Sterling hit a high of just over 90p to the euro in mid-December 2018 but has since then fallen steadily. The upshot is that it is easier today than 12 months ago for Irish food companies to compete for supermarket shelf space in the UK. This flies in the face of the perceived wisdom that Brexit will destroy the Irish beef trade with England. I have maintained right from the beginning that it's exchange rate fluctuations that could hold the greatest threat to Irish trade, not the machinations of Westminster. Yes, there may be long-term ramifications for the British people but in the here and now, and despite the political system in the UK being in complete turmoil, sterling is steadily improving in our favour. Of course, all of that could change, but right now I'm of the opinion that Brexit has worked out very well for big business, especially if you're in the beef business.